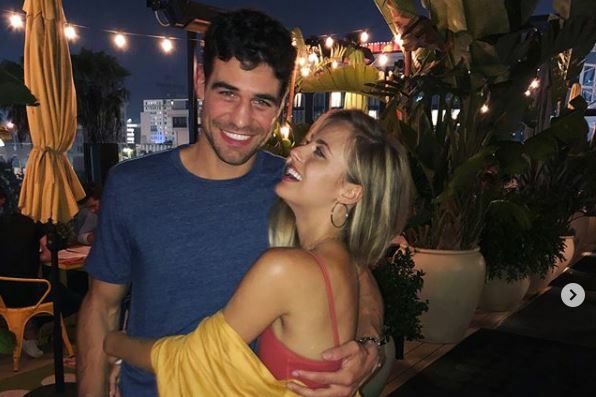 In latest celebrity news, Bachelor in Paradise celebrity couples, Joe and Kendall, and Astrid and Kevin, two of the strongest couples, broke up abruptly during Monday’s episode. UsMagazine.com reports that Joe and Kendall were seemingly in a good place, when he brought up engagement. Kendall freaked out and pumped the breaks on their relationship. From there things went downhill for the couple. Joe abruptly told Kendall he was leaving after stating that he was in love with her and that Kendall was looking for excuses not to be with him. Kendall felt love, but didn’t know if she was in love with him. Meanwhile, Astrid got blindsided by Kevin when he broke up with her, mentioning in previous episodes that he had bad experience in the fantasy suite, and that he felt like something was missing between them. It’s not always love for couples in Bachelor in Paradise. ‘Bachelor in Paradise‘ was anything but paradise for the two couples. What are some ways to cope with an unexpected break-up? 1. Take time for yourself: Sudden break-ups often leave us lost. This is the time to reflect, so take time for yourself. Ask yourself what it is you want. Figure out who you are. 2. Examine the relationship: Let’s face it! You’re going to do this no matter what. So, why not really think about your relationship with this person. Go over the good, the bad and the ugly. See yourself from his or her point of view. Obsess, but don’t get stuck. In other words, give yourself permission to grieve the loss of your relationship. 3. Free yourself: In the words of Elsa, “Let it go.” It’s easier said than done. You have been going over and over what went wrong. Or, you’re wondering what you could have done differently. You will never know, and you must make peace with that. Forgive yourself, and forgive that person who broke your heart. What are some coping tips after a sudden break up? Share your thoughts below.